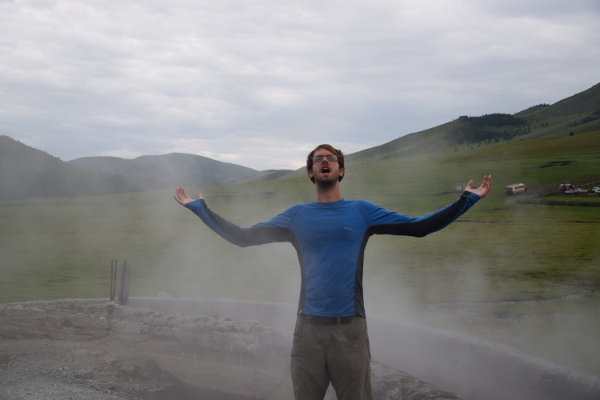 While the Mongolian countryside was stunning and our trip was diverse and provided us with the chance to see an incredible amount, we also learned several things. Firstly we learned about ourselves. We learned that we do not like sitting for 8 to 12 hours a day. We learned that we dislike goats meat (at least when it’s served with every meal), and we learned that we like having some element of control over our daily lives. Secondly we learned about Mongolian tours. We learned that a Mongolian tour is only as good as your driver. We learned that they are usually pre-scripted and unoriginal, and that while new tours are exciting for both driver and guide, these are also a challenge. We learned that changing one flat tire can take as little as ten minutes or as long as 2 hours. We learned that everyone in the Mongolian tourist industry knows each other. And we learned that things just run differently than you expect. Three days in, the bus is slowly navigating a perfectly good, paved road, the kind of road that even I would not mind driving on. While other vehicles pass at around 100-120kmh, we remain crawling at 40 -50. We accuse our driver of being hungover and tired from the previous night’s party in the drivers’ part of camp- a party that had been raucous enough that we all caught wind of it. This is vehemently denied until three days later, when driver and guide attempt to pass it off with some jokes. That day’s driving takes us three to four hours longer than planned. We meet a bus filled with a French tour group. While we greet them, they are less than happy to see us and scowl as their driver (who wears a very fetching beret), has a long conversation with our driver. 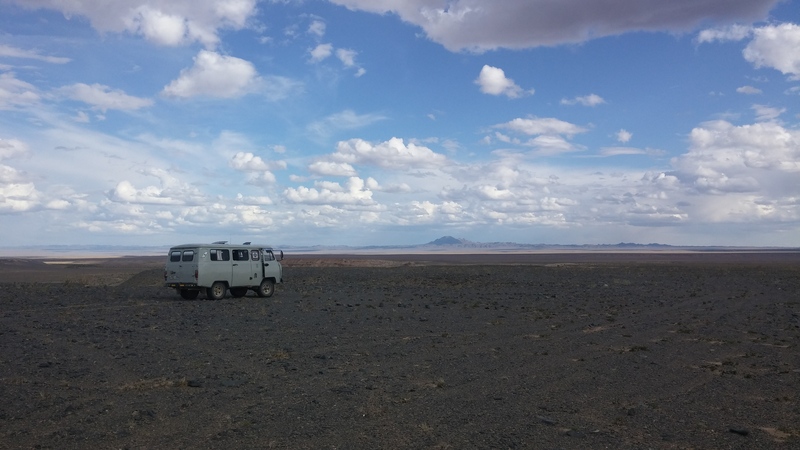 When we pitch camp for the evening, they begin to have a shouting match, the driver insisting they camp next to us, the tourists insisting they want to be alone. We learn later, from our guide, that the driver has ignored the planned itinerary and has driven in such a way so that he can hang out with his mate- our driver. The two drink into the night. In the Gobi desert, lost, our driver stops every visible person to try to ensure he has the right and quickest way to our destination. When we don’t find it, he tirelessly continues searching, although he’s been driving for hours in 40 degree heat. It is the second night in the mountains. 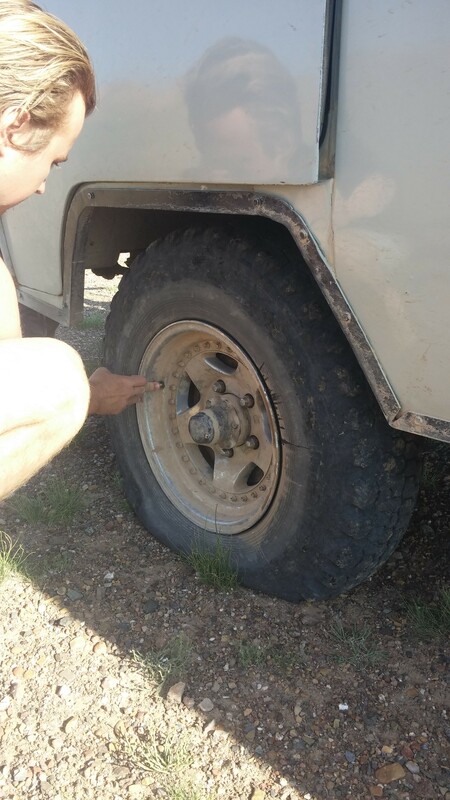 Our tire exploded yesterday, and not only did our driver manage to patch it up in less than an hour, he spent his entire day off finding a replacement. After hearing us discuss the cold at breakfast, he and the guide go one step further and arrange for us to stay in a local ger, to make sure we have a good night’s sleep. Basically the first piece of advice from our 21 day in a bus is: be realistic with yourself about what you are getting into. On a 21 day tour some things will go wrong. Some (or several) days will be longer than expected. Some sights will be disappointing. Some personality clashes will occur. If you have any doubts about wanting to be on a tour, planned for you and with limited space for adjustment, try a different (or shorter) option. The second pertains to Mongolia specifically: on Mongolian tours, drivers are the key. Your guide is unlikely to be more than a cook and a translator, although this does come in handy when your driver has limited English skills. Your driver’s skills, mood and hangover will determine how quickly and how far you drive, what route you take and whether or not you are able to approximately stick to the plan the tour operator lured you in with. In many cases, we thought our driver was ingenious. We were thankful for the extra consideration he paid us, for his cheerful ‘good mornings!’ and for his ability to fix pretty much every part of the car that seemed to be falling apart. However we never really challenged him on his decisions and the one time we did it was clearly an issue. I suspect that if we had been more obstinate, a scene like the one in the French camp would have occurred. A ‘hot spring’ you had to photograph from a certain angle- if you wanted to avoid images of concrete and piping. For me it fundamentally came down to control. I like getting into a car and knowing where I’m going. I like deciding when I’m done for the day. I like deciding if I will walk or sit, run or have a nap. I like determining what I will have for lunch by myself, and I even like getting lost by myself- as long as I have some ability to help get myself un-lost, I’m ok. I’m not happy sitting and waiting for things to happen. I’m not happy watching everything pass by the window, control limited to asking for photo and toilet stops. I’m not happy feeling like I’m sitting in the back taking a tour of all of the driver’s friends’ ger camps. For me there will be no ‘next time’ for organised tours, especially not in the rugged and breath-taking wilderness that is Mongolia. That’s something I have definitely learned.